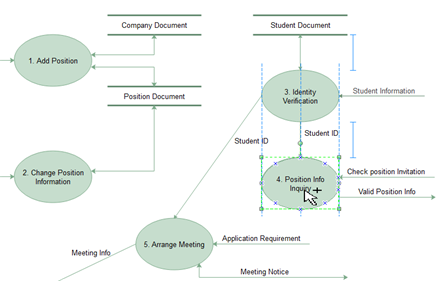 Experience an easy way to create entity relationship diagram on Mac, Windows and Linux. Apple users can make high-quality ER diagram with ease in the OS X platform. Share or cooperate on files effectively through Cloud. 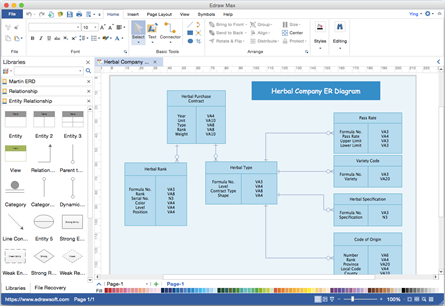 Try this ER diagram Visio alternative on Mac OS. Unlike other online programs requiring costly monthly or yearly subscription fees, it offers a lifetime license with cheaper price. 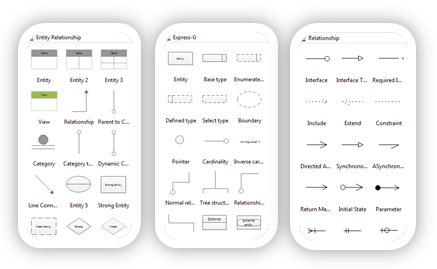 It's a desktop based entity relationship diagram program coming with extensive pre-made symbols and templates. With it, you can produce professional-looking ER diagrams with the minimum time loss. ER diagrams are easier to draw using existing symbols. Our program has included standard and customizable symbols for Chen ERD, Martin ERD, Database Model diagram, Express-G, and ORM diagram. To make presentation-quality ER diagram and communicate better with your clients or team members, you can simply customize the symbols by changing the colors and effects or apply quick styles with just one click. Create an ER diagram with pre-defined symbols and export to a desired format in just a few clicks. 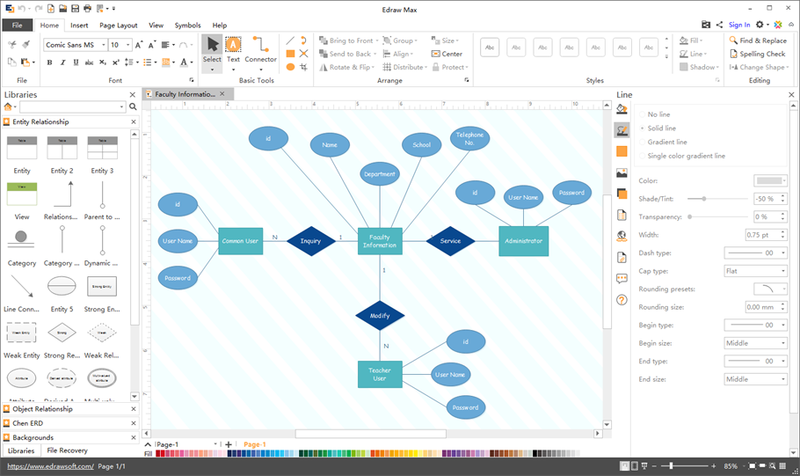 Edraw offers advanced functions and ways to make ER diagram startlingly simple. It has separated libraries for different ER diagram types so you can start a specific ER type with the exact symbol package. Moreover, a straightforward users interface and the drag-and-drop operating functionality will make your work extremely fast and smooth. We have included some examples in the software to illustrate the final effect. 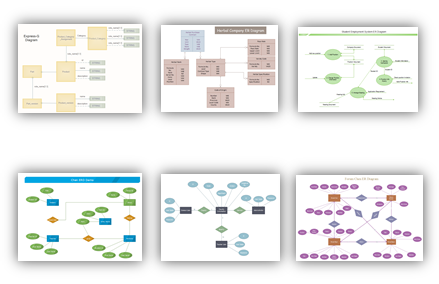 You can explore more thematic ER diagram examples on the example sharing community or share your own ones with others. The examples are usually downloadable and editable. You can create your own ER diagrams out of the existing examples and save time. Your Ultimate Mac ER Diagramming Software! Enjoy creating ER Diagram on Mac with this easy-to-use software. You'll be surprised by its abundant symbols and templates, amazed on how easy it works, and satisfied with the service and price. Try it today!